I arrived in the country of Oman one day ago for a short vacation. Right now I am sitting in a small slice of heaven on earth. I am surrounded by incredible beauty – palm trees and blue sky are above me and a pristine beach surrounded by a slate-blue sea is in front of me. Waves from an infinity pool splash behind me and there is just a touch of a breeze, enough to create a perfect 78 degrees. The ocean is far below me, down some steep steps. It’s a small lagoon surrounded by craggy rocks. Palm trees are scattered across the landscape. There are no flies, no ants, no bugs of any sort. It is as near perfect as life on this earth will ever get. I am sickeningly aware of the sharp contrast between this landscape and that of the carnage in Christchurch, New Zealand, where a community is grieving after being targeted in a terrorist attack. They were targeted as being unworthy to live. Because that’s essentially what terrorists do – they decide that a group of people are not worthy to live. True, they have their own skewed ideology that tells them this is okay, but that doesn’t make it any less evil. And that’s what it is. Evil. They destroy life, deciding to eliminate that which God created and called “good”. I spend all day every day with Muslims. They are my colleagues, my friends, my cultural brokers, my students, my community in Kurdistan. Five times a day the Call to Prayer goes off at this mosque behind our apartment. Five times a day I’m reminded of my own faith because of the faith of others. And so I am deeply saddened by what happened in New Zealand. If you are as well, challenge yourself to reach out to those who don’t look like you, believe like you, think like you, and behave like you. Ask a Muslim co-worker how they are doing. Find out if there is a mosque in your area and call them, expressing your sorrow over what happened in New Zealand. Call out evil when you see it. Commit to kindness and giving others a chance. Embrace beauty, create beauty, look for the beauty in others. Communicate across boundaries. It’s not easy, but it will change you and challenge you. You will be better for it. It’s not enough to write a meme or cover your social media profile with a statement. We must do more. And remember, evil won’t win. Every year I write about International Women’s Day – the day set aside to honor women, to highlight the critical role they play in all of life. From nurturing life at its earliest stages to nurturing families, communities, and countries, women are critical to human survival. Not only do women change the world within homes and communities, but they also change the world in their workplaces. But there are still huge changes that need to happen so that women can not only survive, but thrive. Though I believe implicitly in the importance of this day at every level, this year I find it more difficult to write about. I feel curiously uninspired and not a little discouraged. It seems that we can’t even agree on Women’s Day, let alone anything else. Sometimes we women are our own worst enemies. As I was thinking about this, I decided that today I would highlight a project that I have been involved in this past year and introduce some of the unique women who have participated in the project. Let me give you a little history: I began my job working for a state department of public health nine years ago. I began in a consultant role, and three months later I was hired as a full-time employee. The program I work for is a federally funded women’s health program that focuses on breast and cervical cancer screening in underserved communities. Two years after I started I began asking aloud if we might think about doing a project with the Muslim community in Massachusetts. It’s a big, diverse community and I believed we had a lot to learn about the community. Every year I brought it up. Like a record that is scratched and broken repeating the same thing over and over I would say “What about the foreign-born Muslim community? What can we learn in this community? A year and a half ago, we received funding to do an assessment on attitudes toward breast and cervical cancer screening in the foreign-born Muslim community. I was over the moon. We finished the assessment this fall, and our next steps are working side by side with the community and taking what we have learned to develop community and health provider trainings. This project has been a gift. In an era where Muslims are seen as ‘other’ and therefore suspect, I have had the privilege of meeting with Muslim women from many parts of the world. All of them were born elsewhere and most came here as refugees. I have met doctors from Syria, Algeria, and Iran. I have met public health professionals. I have met housewives and many in the service industry. Every one of them has experienced untold loss, and many can never go back to their countries of origin; many cannot go home. There’s Heba, a brilliant doctor from Syria. She has embraced this project and opened her heart. She is a gifted teacher and watching her speak to her community is amazing. Besides this, she has a new baby boy and a four-year old daughter. There’s Afsaneh. Afsaneh is from Iran and she is also a doctor. She too has welcomed the project, leading dynamic focus groups so that we can learn from her community. There’s Houria from Algeria; Saida and Naima from Somalia; and Annam from Pakistan. All of them have offered their unique perspective and stamp on the project. They are diverse in age, culture, and views of Islam, but all of them care deeply about their communities and their faith. Those of us who are working on the project have been received into the broader Muslim community with uncommon generosity and grace, sharing meals and conversation, brainstorming sessions and ideas. Although we could easily have been viewed suspiciously, we weren’t. Instead we were welcomed with arms and hearts wide open. And we have learned so much. Women shared honestly and openly about their views towards women’s health in particular, and the health care system in general. I’ve learned a lot in this project, but one of the biggest things I keep coming back to is that change takes time. For me, being bold for change meant being persistent in my request for time and funds to do this project. Being bold for change means humbly going to a community and saying “I don’t know enough. Please help me understand more.” Being bold for change means going out of your comfort zone and hearing another point of view, another side of an issue. Being bold for change means building bridges that connect, not walls that divide. All of this takes time. Today on International Women’s Day, I celebrate this project even as I remember the bigger picture that shows me so much more needs to be done. Happy International Women’s Day 2018 – All is not lost. A few months ago I was invited to do an interview with Orthodox Christian Network. The interview was with Father Chris Metropulos, President of Hellenic College Holy Cross in Brookline, Massachusetts. I was invited to respond to several questions about growing up in Pakistan, about living in both Pakistan and Egypt as an adult, but mostly about some of the differences between East and West, and what building bridges might look like. Any of you who have read Communicating Across Boundaries know that this is the whole reason I began writing, so it was a gift to be able to communicate some of that verbally. I’ve included a link to the audio of the interview, but I also wanted to write down some of what I prepared in writing to prompt me when responding on air. Building bridges, reaching across ethnic, racial, and other divides, communicating across the boundaries that divide us – these are the things that make my heart beat faster and harder. These are the things that motivate me to get up in the morning. I’d love you to listen to the interview (even if I might perhaps maybe definitely hate the sound of my voice in the audio) but if you don’t have time, here are the written responses to some of the questions that were asked. 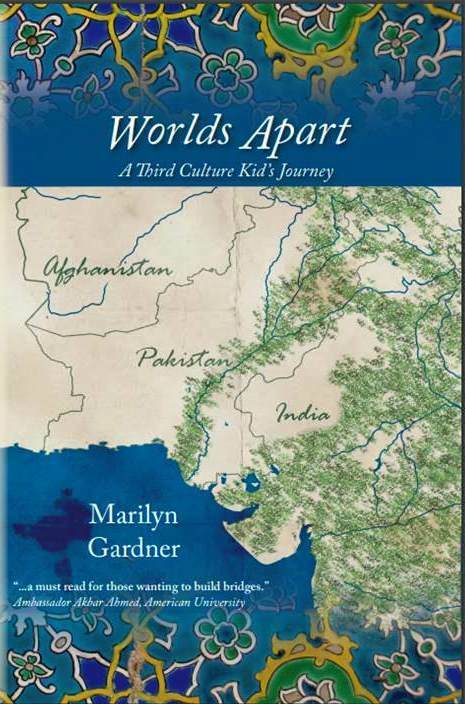 Raised in a missionary family, Marilyn Gardner spent her childhood and adolescence in Pakistan and raised her five children in Pakistan and Egypt. She now lives in Cambridge, Massachusetts, where she works as a public health nurse with underserved immigrant communities. Marilyn is the author of Between Worlds: Essays on Culture and Belonging and blogs at Communicating Across Boundaries and A Life Overseas. Her new book Passages Through Pakistan: An American Girl’s Journey of Faith was released in March of 2017. What can you tell us about your book that will help us understand each other better and your journey of faith? 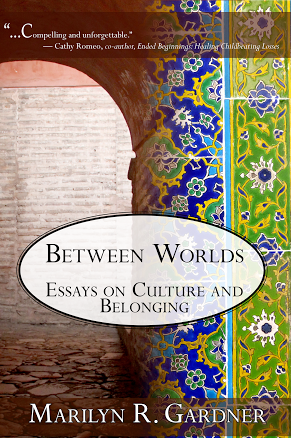 Passages Through Pakistan is about 3 things that are interwoven – being a third culture kid – which essentially means being someone who was raised in a country outside of their passport country for their developmental years – Pakistan, and faith. At the beginning, it was going to be just about living between worlds, but the more I wrote, the more I realized that the other consistent thread through the book is faith. My parents were Baptist missionaries in the country of Pakistan. They arrived in Pakistan not many years after Pakistan’s birth as a nation and thus, separation from India. They raised five children in Pakistan. Faith was ever-present in our home through prayer, devotions, and decision-making; but it wasn’t only in our home. Equally strong faith with all around us. The call to prayer sounded five times a day, mosques were on every corner, faith was alive and well, despite different truth claims. My childhood experience with faith set the stage for later moving into the Orthodox Church. Kipling does have a great way with words, particularly when talking about East and West. There is a cartoon that I believe captures the divide between East and West. It’s a cartoon of a fully veiled woman on the left, and a blonde woman in a bikini on the right with sunglasses on. Each of them have bubbles over their heads. The bubble over the blonde’s head is “Everything covered but her eyes, what a cruel, male-dominated society!” The veiled woman also has a bubble over her head: “Nothing covered but her eyes. What a cruel male-dominated society” This cartoon is so accurate in showing the dangerous stereotypes that are made about both east and west. The problem of course with stereotypes, is that they put people in boxes and don’t let them out. One of my favorite authors says this about stereotypes. “The problem with stereotypes is not that they are incorrect, but that they are incomplete. No one is a single story.” As I speak and write, I am more and more aware of the complexity of human thought and experience, as well as the multiple perspectives that can be seen across almost any subject. I’ve witnessed stereotypes on both sides of the globe, but the more resources we have at our disposal for learning about difference, the more culpable we are if we continue to perpetuate those stereotypes instead of confronting them for what they are. In the last few years, my work has become a meeting place of sorts, as I have been able to do a lot of work as a public health nurse around cancer screening in the foreign-born Muslim community in greater Boston. This has been a gift and a connecting point between my past and my present. But our home in Cambridge was a meeting place way before my work became one. At a recent Thanksgiving meal, our home was full of people from many different countries, and as I observed a Syrian and an Israeli communicating over tea and pie, I had a deep feeling of gratitude that our home in the United States could be a juncture for people from different places, backgrounds, and faiths to meet. In all that I do both professionally and personally, I believe with all my heart that how we view the one who is other is an important conversation, and I love having those conversations. The conversations come out in my writing and in my interactions with people from around the world who have made Boston and Cambridge their home. What made you write Passages Through Pakistan? Is this a visceral reaction to the current political climate? I began to write Passages way before this current climate. The first bits of it were written about 8 years ago, and I remember reading a couple of them to my oldest daughter Annie, who is an excellent writer by her own right. It was Annie who didn’t laugh when I said I wanted to start a blog and gave me excellent tips. So I began blogging, but in between blogging I would go back to this idea of writing a memoir about my life in Pakistan. So the fact that it has taken this long to become a book feels providential. I can’t think of a better year for this book to be released so I am thrilled. Your love for Pakistan and its culture is something that anyone who has lived in these parts of the world can relate to, and yet there is much to be desired, that it is hard for someone who have never lived there to comprehend. As you are beautifully positioned between worlds how can you help us understand what makes us uncomfortable? Is it our way of perceiving, our own fears that prevent us from connecting? There is a French philosopher who says the first spontaneous reaction in regard to the stranger is to imagine him as inferior, since he is different from us. Therein, I believe, is your answer. Which is why I think the Holy Scriptures are so full of verses about welcoming the stranger. When we moved to the United States, I remember having our kids’ friends over for dinner. Often they would see foods they had never seen, much less eaten at our table. Their automatic first reaction to seeing this ‘strange’ food was immediate and strong: “Uuuuhhh! What’s that? ?” They would look at a dish of spinach curry and immediately assume that this food was not as good as what they were used to. It is the French philosopher’s quote in action. I believe strongly that this is the very first, unfiltered version around the world when any one of us confronts difference in the form of a stranger. Yet, more and more, encountering the stranger is part of our daily life. Sometimes the encounters are interesting, intriguing, fun, joyful. Other times encounters are troubling, assaulting us with faces, smells, clothes, and accents that exacerbate the differences we feel and make us uncomfortable and fearful. Sometimes those feelings of discomfort spill over into anger or judgment. But I believe with all my heart that the way we confront difference, the way we treat the stranger, reflects what we believe. If we consider the stranger to be inferior because he or she is different than we’d best ask ourselves ‘why’, best examine our motivation and our heart. From Genesis to Hebrews to James we have clear instruction and wisdom on how to treat the stranger. The words of Jesus call us to feed the hungry, bring drink to the thirsty, clothe the naked, visit the sick, come to the prisoner. The writer of Hebrews asks us to show ‘hospitality to strangers for by it some have entertained angels’. Hospitality holds a high premium in Middle Eastern culture, both now and in Old Testament times. The Bible is not ambiguous in its commands. Ultimately we must move on to face and accept otherness, strangeness, difference, what is foreign. Our survival depends upon it. We can no longer live just among our own. Sooner or later, given that the planet is both limited and round, we will find it impossible to avoid what is foreign to us. What is strange to us will soon enough be part of our neighborhood, our home, our church, and our perspective on things. Moreover, welcoming what is other and different is in fact, a key biblical challenge… God is defined precisely as “Other”, as what is beyond imagination, outside the realm of the familiar. This is what scripture means when it calls God holy. Biblically holy is not primarily a moral quality but an ontological one—namely, otherness and different from us. On Fear: I think safety has become something of an idol in the Western world. And I think many make too many decisions based on this. We are slaves to the images and stories we hear on the media, and if we’ve never met someone from Pakistan, or from Syria, or from Afghanistan, or Iraq or Iran, then our default is to cling to what we do know. And what we do know is fear-based. It tells a story of terrorism and Islam and chaos. Our faith must transcend this. We must ask ourselves the question “Does God really love me more than the rest of the world?” I think if we’re honest we think he does. We think we’re his favorites. But there’s no qualifying line in John 3:16. It says “For God SO loved the world.” Not for God so loved Russia. Or For God so loved Greece. Or for God so loved the United States. It’s “the world” and I believe it’s important that we examine our hearts around who we consider to be God’s favorites. Finally as a child of a missionary family from Pakistan, you have continued to work in the Middle East, bringing aid and working with the refugees. It seems you are in some way continuing the calling of your parents, would you agree? You know, for a missionary kid, the word ‘calling’ is loaded. I wrote one time about “calling” and asked the question if it’s in our DNA. I believe that any Christian has one primary call – and that is to God and his church. Beyond that, there are all kinds of creative ways that we exercise our faith. What I do believe is that I have had wonderful, and often unique, opportunities both internationally and in the United States to interact with people who don’t share the same faith, culture, or truth claims that I do. I am grateful that I have had the opportunities to move forward in relationship with many of these people. I don’t know if that’s calling, but it is responding to opportunities that I have been invited into. What would you wish to see happening as a result of the publication of your book? Obviously, I would love it if people read it and the journey of faith resonates with them. I would love for the book to bring honor to Pakistan and the minority Christian community there. I would love for it to be a book that is a bridge-builder, for people who would never pick up a book about Pakistan to pick it up. But I can’t count on any of this. I just know that in God’s incredible grace, he allowed me to begin writing and gave me words that were well-received by others. And so ultimately, I want this to bring honor to God. If there is purpose to our lives, what would that be? BTW, the quote from Kipling often (usually?) omits the last lines at the end of the poem: “East is East and West is West, and never the twain shall meet, Till Earth and Sky stand presently at God’s great Judgment Seat. But there is neither East nor West, Border, nor Breed, nor Birth, When two strong men stand face to face, though they come from the ends of the earth.” Kipling has very often been accused of being a bigoted colonialist. In fact, when read fully, Kipling is exactly the opposite and gives dignity to every character except those on all sides who are indeed the bigots. Last night I went to an Iftar celebration. It was sponsored by the Greater Boston Muslim Health Initiative – a group that periodically meets to focus on specific health needs of the Muslim community in the area. It was an eclectic group of people, each of us with strengths in different areas, community members and advocates. And of course – Nabra’s death came up. You may not know the story. Nabra Hassanen was a 17 year-old who lived in Northern Virginia. Early on Sunday morning, Nabra prematurely lost her life to a man filled with rage and bent on destroying life. She was assaulted and beaten with a bat, her body left in a pond to be found by law enforcement a few hours later. Nabra had celebrated a Ramadan meal with friends and was on her way to the mosque with the same group of friends when the incident occurred. Seventeen. Muslim. A young woman. A person of color. Now dead. A death like this makes no sense – indeed it is put into the album for the unexplainable. Is it road rage? Is it a hate crime? No matter what you call it, it won’t bring Nabra’s life back. She’s gone – gone way too soon. Taught to be afraid. Taught to hate. Taught to kill. Taught to think of people as less than. Because when you are carefully taught these things, you can treat people as you like without conscience or remorse. What might our world look like if we were taught to see the image of God in each person? If we were aware of how bound together we are in our life journey? What might it look like if we saw people as God sees them – beloved and worthy? If we changed our worldview from glorifying the individual to humbly loving collective humanity. My heart weeps for Nabra’s family and community. This assault must feel so big and so awful, so personal during the month of Ramadan. My heart also weeps for the cancer of prejudice and racism in our society, that we are so carefully taught to despise and hate, without even being aware. And even as I write this, I know I am not innocent. For any time I ignore others, anytime I dismiss another as unworthy, I’m doing the same thing. The consequences are less, the action and heart attitude is the same. When we deem people as unworthy, we can do whatever we like to them. How can we change this societal narrative? How can we begin to see ourselves as integrally connected, bound together in this journey? 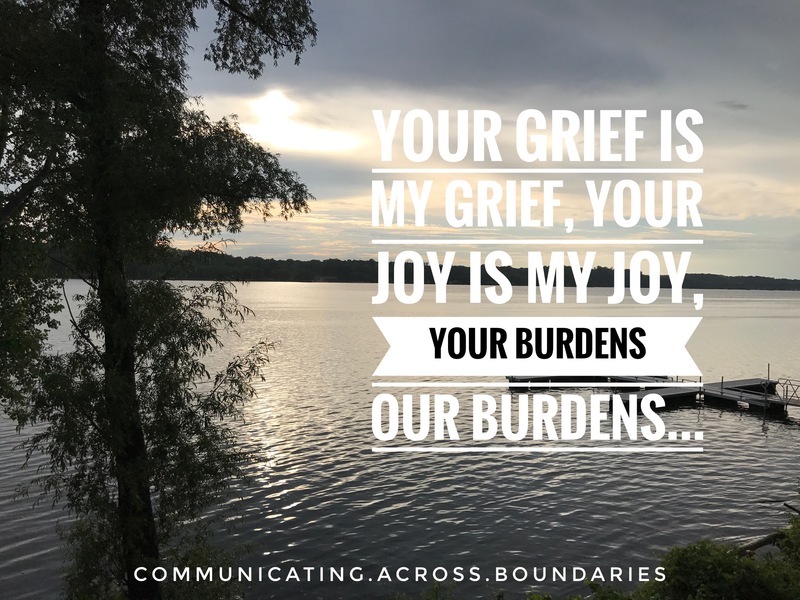 Your grief is my grief, your sin is my sin, your joy my joy, your burdens, my burdens. How can we rid ourselves of what we have been carefully taught and soften our hearts? What more is there to say, but that God would “unteach” us that which we have been carefully taught; that he would give us hearts of mercy instead of stone. And that we would take seriously our mystical connection and our mutual responsibility and act upon it. The headline spares nothing, except that there were children. I numbly read the article describing the pilgrimage. The group was headed to St. Samuel Monastery for a pilgrimage when pick up trucks reportedly drove up to the busses and began firing automatic weapons. I read as little as I have to to get the story. Then I stop and I feel myself getting sick. During our years living in Egypt, my husband used to love taking our oldest son, Joel, to monasteries. The first time he went, Joel was only three years old. He went off happily into the desert with his dad, secure and excited. The pictures taken later that day show a tow-headed pre-schooler with a bearded monk. They are absolutely comfortable with each other and the camera captures this well. Our introduction to Orthodoxy came through the Coptic Orthodox Church. 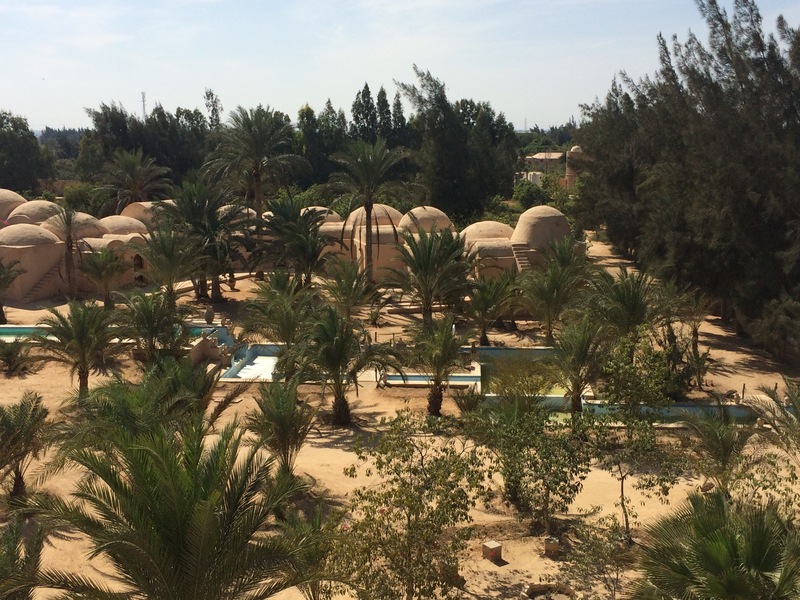 My husband went on countless trips into the Sinai desert, enjoying the hospitality and growing through the spirituality of monks who had devoted their lives to prayer in the desert. Christianity in Egypt is alive because of these havens and those that set themselves apart to pray for Egypt and the world. It was a monk who said to my husband “Cliff, you are Orthodox. You just don’t know it yet!” This was years before we entered the Orthodox Church. My husband just thought this is what the monks say to Protestants who they liked. It turns out it was more prophetic than we could have imagined. These trips to monasteries are a respite from the chaos of the massive cities in Egypt. But they are so much more! Pilgrimages to monasteries are part of the spiritual life of the Orthodox Christian, so when I read about the group who were attacked it felt personal. It should feel personal. These are fellow Christians, members of what we call the “body of Christ”. In the most outrageous act of love the world has ever witnessed or will ever witness, we have these words. They are recorded and echo through history. They are heard in great cathedrals and small,village congregations. They are said aloud, and they are whispered in the soul. These words – they feel too hard. How can a grieving mother say them? How can an angry father believe them? And yet – still they echo. Violence lasts but a moment, forgiveness echoes forever. Every September, when cool breezes off the Nile River replaced the sweltering heat of summer, the expatriate community in Cairo, Egypt would reunite. Most employers planned a variety of activities to introduce any newcomers to Egypt in general, and the gigantic city of Cairo in particular. Our employer, the American University of Cairo, put together an orientation week full of events and talks all designed to ease these overwhelmed rookies into life in both the city and the university. It was during orientation week that I met Lubna for the first time. On the first day, I noticed Lubna standing alone at the break. I ignored my conscience and left her alone. On the second day, the internal nudge was too strong to ignore. I felt compelled to go and speak with her. I was nervous. Lubna was fully veiled. She wore both the abbaya (long black coat) and a niqab, the veil that covered all but her eyes. While I was used to communicating with women in the hijab (head covering), I had no friends who wore the full veil and I felt my discomfort acutely. I stumbled a bit as I asked her how long she had been in Cairo. After seconds, we were engrossed in a dynamic conversation and within minutes found significant commonalities. Raised in Canada by an Egyptian family, she had married a Tunisian man who had immigrated to Canada just a few years before. She had one child, a baby girl. A couple of weeks later, Lubna invited me to her home. Until this time, I had only seen her at outside events and I looked forward to being able to sit with her over tea and get to know her better. I arrived at her apartment around 10 minutes late – a little early for a Middle Eastern visit. I knocked on the door and …..
You can read the rest of the piece here! Passages Through Pakistan is available here for purchase. During the weekend, an “I am a Muslim too” rally took place in New York City at Times Square. A picture of the event shows a large crowd gathered, all mouths opened in unison. A couple of white women are front and center, holding signs of a woman in a hijab made up of stars and stripes – a poster courtesy of the talented Shepard Fairey that has gained popularity from sea to shining sea in the past month. I will spare you and not get into how problematic it feels to create a hijab out of the American flag – that’s another conversation. Actually, I am not Muslim. I grew up with Muslims as my friends and aunties. I was cared for by Muslim women and learned from them. I went on to raise my children to live and love a Muslim country and the people who surrounded us. Muslims cared for my children when they were small. They were our friends, our neighbors, our babysitters. I continue to count Muslim women as some of my closest friends. But I am not Muslim. And the grey-haired woman in the forefront of the picture I saw wearing a statue of liberty tiara? I am 99.9% sure that she is not Muslim either. I am not in favor of participating in identity confusion solidarity. And that’s what this particular demonstration felt like. It felt like a shallow way of showing support. By contrast, I had no problem promoting and marching in a pro-immigrant march a couple of weeks ago. The message felt completely different. It was solidarity without identity confusion. To say I am a Muslim means that I accept the truth claims of Islam. To say I am a Muslim means that I accept an identity that is far bigger than a sign on poster board. I do not share the identity and I do not share the truth claims of Islam, just as my Muslim friends do not share the truth claims of Christianity. There are many commonalities, many things that can bind us together as friends and neighbors, but there are also key differences. Why do I have to chant “I am Muslim too!” to show solidarity with my Muslim friends? There has to be a better way. In the past two years I have had the privilege of getting to know the Muslim community in the greater Boston area. I have been doing a health project with foreign-born Muslim women and through it I have been welcomed into several of the many Muslim communities in the area. I have shared meals with Pakistani, Iranian, Syrian, and Somali women. I have been invited to hear their views on health care and learn from them more about how public health can better serve them. I have been to mosques and to homes. The connections and friendships that I have made are a testament to the generosity of the Muslim community. For me to say “I am Muslim too” feels like it’s an insult to the resilience and experience of the community. It doesn’t feel like solidarity. Just like it would feel like I was insulting the Black community if I held a sign saying “I am Black too.” Because I’m not black. We cannot assume that we know what the experience of another is just because we march with big signs. I have no clue what it is like to have to flee a country and know I can never go back. I have no clue what it is like to face prejudice because of my skin color. How on earth would I know what it feels like to be concerned for my sons because of their skin color? I have no clue what it is like to be attacked because I wear hijab. These are experiences that I cannot claim as my own. What I can claim is to want to support the community in ways that are lasting and sustainable. What I can claim is a desire to know the community better, to invite people into friendship and connection. What I can claim is to be learning more about my own privilege and how that can be used for good or for ill.
As I looked at pictures from the march this weekend, I wondered how many of the people present actually had Muslim friends. I wondered how many have actually invited people into their homes to share a meal, to share a conversation. I wondered how we can take the obvious energy and time that went into shouting “I am Muslim too” and turn it into something that could help the Muslim community in the long-term. So – no, I am not Muslim and I don’t believe that this kind of solidarity is helpful for the long-term. I don’t believe that identity confusion will help my Muslim friends. But, because I place high value on my Christian faith, I will do whatever I can in my small spheres of influence to support a community that I love.